It is well known that Dragan Covic has repeatedly proclaimed Croatian people to be unequal in Bosnia and Herzegovina. We know that the trigger for this saga was electing Zeljko Komsic two times in a row to the position of Croatian member of the Presidency of Bosnia and Herzegovina. 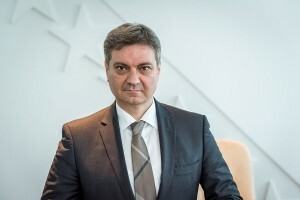 In the last eight years, Dragan Covic has consistently pointed to the alleged inequality of Croats in BiH, calling for the amendment of the Constitution and the electoral law in BiH in order to ensure institutional equality of Croats. “We want a state where we will be fully equal with Bosniaks, and Serbs. We do not want the international community to decide our fate, so we need a change of the Constitution and the electoral law. We need the rule of law in which everyone will be equal so that BiH could start functioning as a normal country. (…) I believe we can get candidate status in the next four years, but only if BiH would start functioning like a normal country, and that won’t happen until the Croats are not equal with the other two constituent peoples”, he said at the election rally in Rama. It’s Interesting to look at the results of this “inequality” after the elections in October last year. 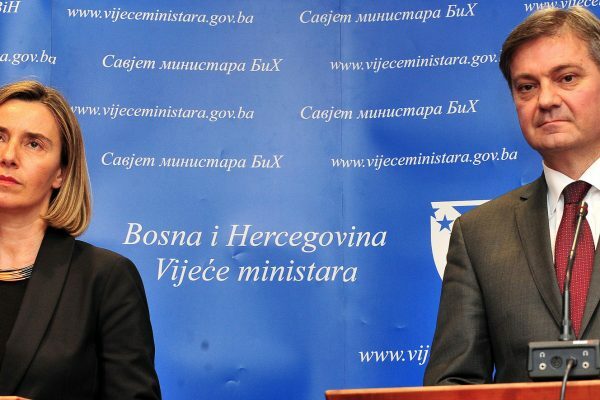 In the race for the BiH Presidency member Dragan Covic has received a total of 128,053 votes. In the race for the House of Representatives of the BiH Parliamentary Assembly the FBiH list of HNS received a total of 119,468 votes, which is 12.15% of all votes and got 4 seats in the PA. HNS also has four delegates in the BiH House of Peoples. So if we look at the situation in the BiH Parliamentary Assembly we can see that the HNS list has four out of the 28 directly elected representatives (14.2%) and has 4 of 15 delegates in the House of Peoples (26%), and the Croatian caucus has four out of 5 delegates, which makes it 80%. The situation is similar at the level of the Federation. The HNS list received 118,375 votes for the House of Representatives (11.23%) which resulted with 12 seats of a total of 97, which is 12.3% of the total number of seats. In the House of Peoples of the FBiH this list has 13 of 54 delegates and it gives 24.07% of all seats. In the Croatian caucus, the HDZ has 13 of the 17 delegates (76%). As the delegates in the FBiH House of Peoples shall be elected from the canton it is interesting to look at the total number of votes that the HNS got in all cantonal assemblies. In nine cantonal assemblies they had their candidates, the HNS won a total of 107 431 votes, and it is less that they won in the race for the House of Representatives of the Federation. From these data, it is clear that Croats in Bosnia-Herzegovina aren’t in any case unequal since the HNS with about 12% of the votes in the Federation got the possibility of stopping all processes they don’t like in the House of People. We can fully understand the position of the Croats or HNS – the alliance representing the interests of the majority of Croats in BiH, if we additionally look at the ministries distribution in governments,. From a total of 13 governments in BiH, which will be formed as a result of the general elections in 2014, the HDZ BiH or HNS has or will have their ministers in as many as nine governments which means that with 12% of votes, they will participate in 69% of governments in BiH. 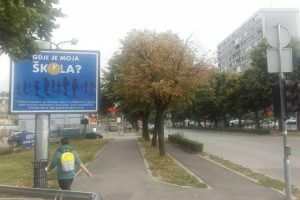 Only in Sarajevo, Tuzla, Una-Sana and Gorazde cantons there will not be any HDZ ministers. And the ministerial position for Refugees and Displaced Persons in the RS Government belonging to the HDZ is especially surprising, since in the elections for the RSNA in that entity HNS got only 1,810 votes, which equals 0.27% of the votes. That is more than two times less than the HDZ 1990 with the result of 3,698 which is 0.56% of the votes. From all the described above it is clear that in the current political system in BiH, Croats are not unequal, but even “more equal” than other nations and that their voice in principle is “worth more” than votes of other people in BiH. And that is why Dragan Covic gets the untrue rating for this statement.